Enroll your child in a week-long culinary class for the youth ages 5 and up! PACE believes that learning the basics in the kitchen is a life skill. Start them Young is more than just learning how to cook through the different dishes that they will prepare themselves every day. PACE aims to develop their appreciation about food and how it is prepared. This course will run for 5 days with a combination of Culinary and Baking training. The Culinary Arts Diploma of PACE is modular, competency-based program that trains students about the fundamentals of professional cooking, anchored on the techniques, methods and practices of the classical French. Hands-on training will be the major part of the program. Relevant lectures and actual exposure to the different facets of a chef’s workplace such as fine dining exposure and wet and dry market trips will also complement their kitchen training. All students will have a chance to learn from the Professional Development track that PACE uniquely offers in order to give them a wider perspective of their career choices in the culinary industry may it be business in the food industry or a career as a chef. The CAD program has the equivalency of Cookery NC II under TESDA’s TVET Program. *Professional Development Track for Diploma students is specifically designed to give them a wider perspective over their culinary careers. The module will enable the students to prepare themselves for immediate or future opportunities in the culinary industry. The course covers all elements in starting a business from conceptualization to planning. The program also covers the essential elements needed to produce satisfied customers and a profitable business. The course will also cover principles and practices of small and medium sized food businesses. The Catering Management course covers the crucial business aspects of on- and off-premise catering. It will cover up-to-date information on menu design and pricing, new business development, marketing analysis techniques and essential information on small business management principles in a local perspective. The module helps prepare the students gain the necessary skills for job application. This module includes resume writing, interview skills development and job orientation. PACE’s Saturday Class was created exclusively for students who are working or have a business to attend to during weekdays. The Saturday Class schedules allow them to train while working. For class schedules please click here. PACE continues to elevate the level of training for its students. PACE now offers a comprehensive course called the Intensive Culinary-Baking and Entrepreneurship Program or ICE. The course aims to equip the students the necessary Culinary and Baking skills complemented by our unique Entrepreneurship in the Food Service industry programs. The continuous training allows students to acquire the skills through hands-on training and application of relevant experiences. Consistent with our end in mind, our graduates are prepared to compete for opportunities both as a practitioner or a chefpreneur and are flexible to the needs of the industry. Together with our seasoned chefs and mentors, we at PACE believe that the best investment is still education and training. Take our ICE program and experience the PACE advantage. The 2018 Philippine Culinary Cup will forever be etched in PACE’s young history as the year where our pursuit for excellence bore fruit. Every year, PACE continues to improve its overall performance in the Philippine Culinary Cup and credit this to the collective pursuit and desire to give the best for our students and the culinary community. True to form, PCC 2018 remains to be the yardstick where culinary skills are measured. A lot of competitors from notable international hotels and prominent culinary institutions locally and in Asia participated as they all tried to meet the expectation of the judges. This naturally raises the bar higher as the benchmark for excellence is defined not only by the judges’ criteria but the quality of competitors on the floor. To be mentioned as one of the top performing culinary institution serves an inspiration to us to be better and take risks moving forward. What made this even sweeter is majority of best entries are from our students and alumni who are products of PACE’s program. Our team of passionate and selfless teachers Led by Chef Lowell Cauilan and Chef Menoy Gimenez brought out the best in every participant. PACE is also fortunate to have sponsors and culinary partners who gave their faith and shared their resources as we worked our way to success. Truly, collaborating with the industry goes a long way! – Let’s wear our PACE Polo Shirt / Shirt on the 1st day of tour! Past Meets Present is PACE’s institutional gathering. Through this activity, alumni and other current students gets the chance to meet each other, share experiences, renew ties and make new friends! This event is something to look forward to! The many activities lined-up raffles, performances, salu-salo and recognitions are PACE’s way to foster school spirit as we welcome back our alumni and inspire our present students. Its an evening where instructors, students, alumni and PACE employees bond as ONE. Check our Facebook page for more photos. 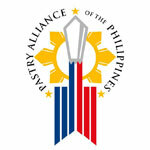 The Philippine Culinary Cup has become the most prestigious culinary competition in the Philippines. Now on its 7th year, the PCC takes on an even bigger role in providing the Filipino chefs an internationally-recognized platform to hone their skills and showcase their talents in the culinary field. 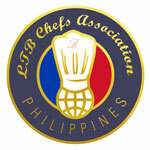 A collaboration of the LTB Chefs Association Philippines, the Pastry Alliance of the Philippines and PEPTarsus Corp., it is a successful partnership that has clearly established the new standards in Philippine culinary competitions.